Studio Blue has teamed up with Bridgetown Physical Therapy! Our physical therapy plan of care includes a variety of interventions and is dependent on the type of injury. We use an eclectic approach for treating patients, emphasizing a strong exercise based program. We also utilize hands-on manual therapy techniques as well as modalities to correct joint dysfunctions and promote healing of injured tissues. We prescribe home exercise programs to optimize rehabilitation and seek to educate patients so they can help themselves. We offer all the conveniences of physical therapy treatment and post discharge management in the same clinic. Call Bridgetown directly at 503-222-1955 to make a Physical Therapy appointment. Same day appointments are available! Studio Blue also offers Rehabilitative Pilates! Click here to see our full list of rehabilitative services. 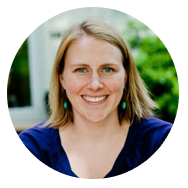 Ali graduated from Regis University in Denver, CO with a Doctor of Physical Therapy degree (DPT) in 2007. Prior to PT school she received her Bachelors of Science in Exercise Science at Gonzaga University (go Zags!) where she rowed on the crew team for a year and played on several club sports teams. Growing up Ali participated in dance and many sports and with her love of sports and her interest in medicine and healthcare, physical therapy was the obvious fit. Since starting her physical therapy practice she has continued to expand her skill set through various manual therapy based continuing education classes. Ali is passionate about helping patients return to the prior level of function and activities, whatever level that may be. She uses a combination of hands on techniques in combination with therapeutic exercise to maximize patient outcomes. Outside of work Ali enjoys skiing, hiking with her adorable dogs, biking and cooking.